A hip roof slopes on all sides, the side wall is square shape and finishes at eaves height. A roof with a gable wall construction will slope on two sides, the side wall is triangle shape and finishes at ridge height. 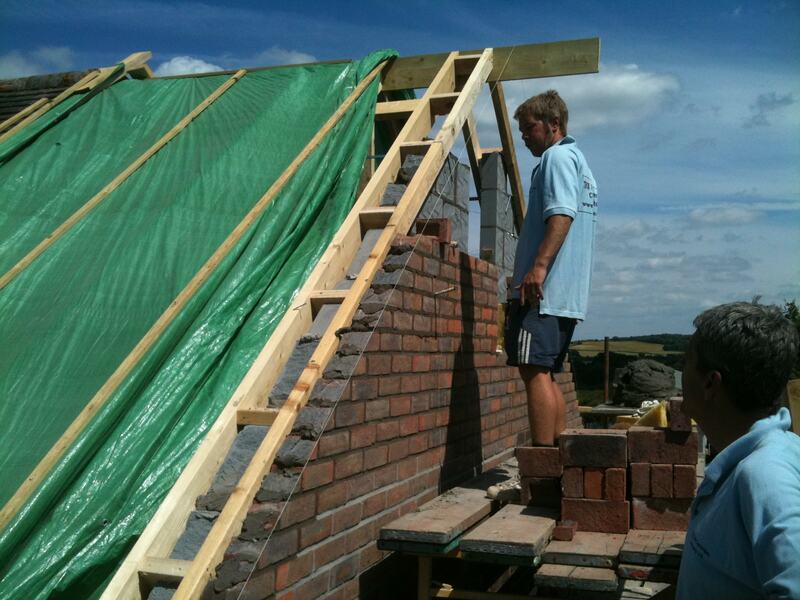 A loft conversion with an existing gable wall will require less work than a hipped roof conversion. 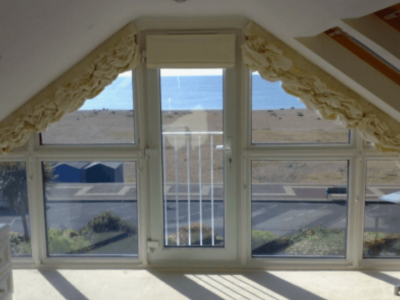 This will effect the overall cost of the loft conversion. 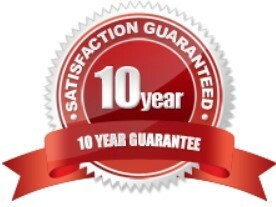 There are three main methods of construction to choose from to match the existing character of the property. Cavity wall construction with thermalite blocks to interior and face brick to exterior. Insulation in wall cavity. Matching the existing brick exactly or as close as possible. 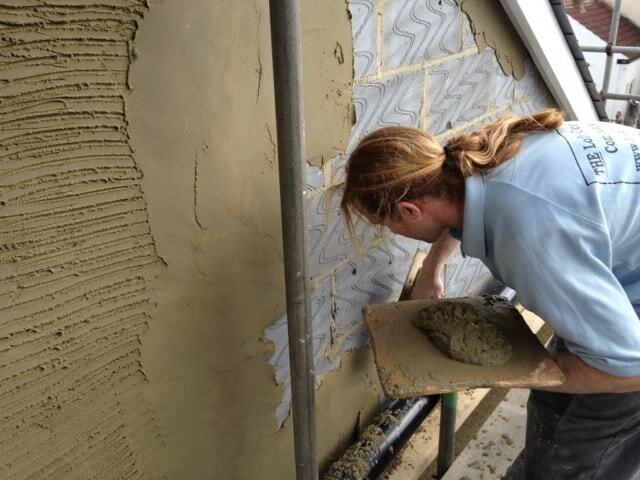 Cavity wall construction with thermalite blocks to interior and semi-concrete blocks to exterior. Insulation in wall cavity. 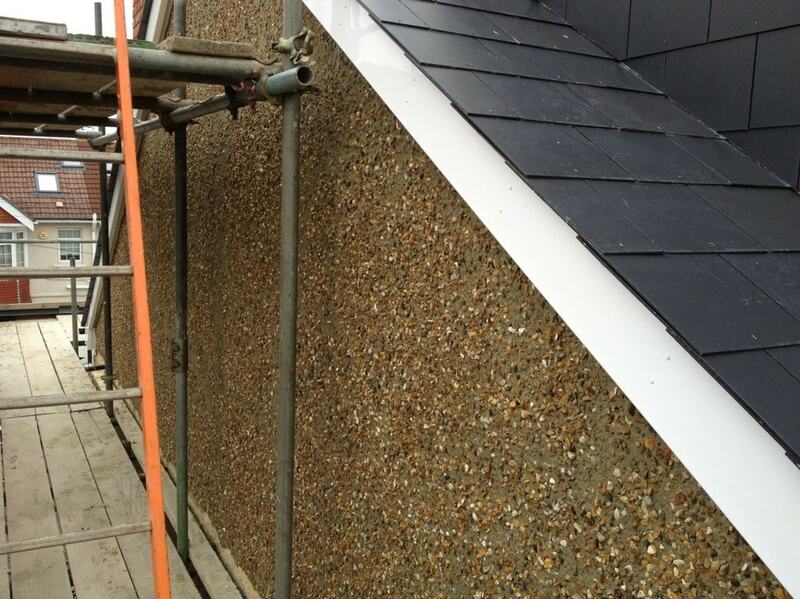 Render finish to exterior. Rendering can be applied with numerous finished coverings, i.e. 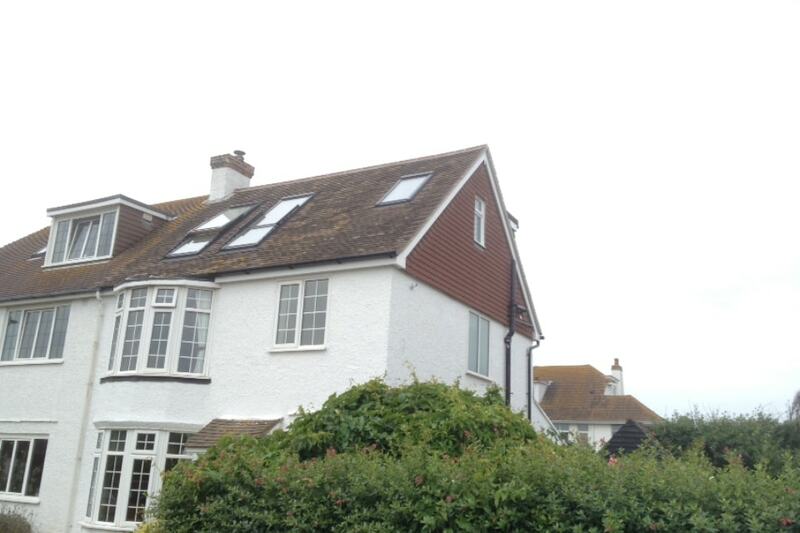 Sand/ cement smooth finish and painted, K-Rend colour coating, pebble dash, Tyrolean render. 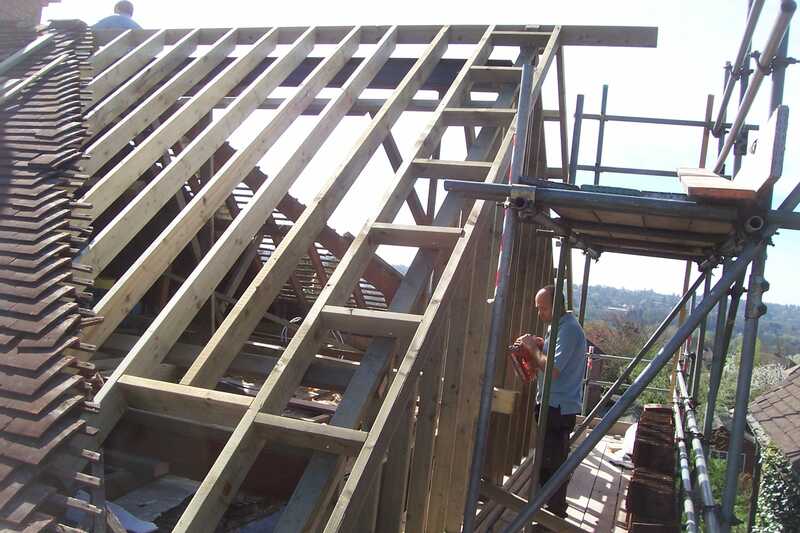 Timber frame construction with plain tile hang finish. Insulation inside timber stud-work. 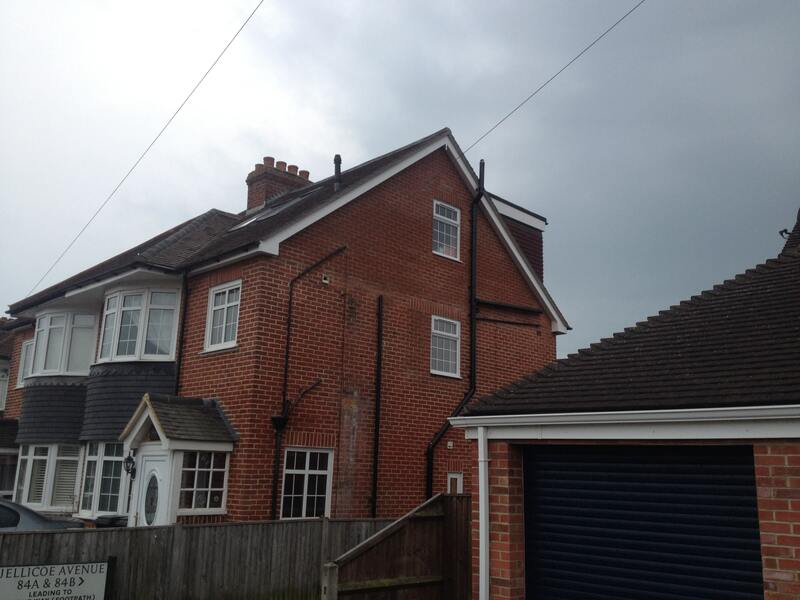 Felt, batten and tile exterior to match existing small plain tiles. 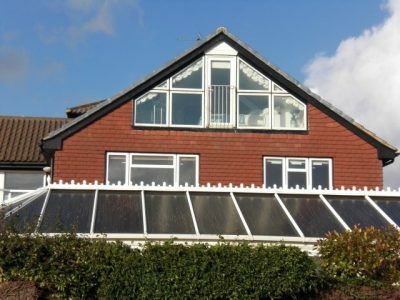 Give your loft conversion the wow factor by adding a glass gable end. Views can be amazing. These types of conversions are ideal for beach front or hillside locations.